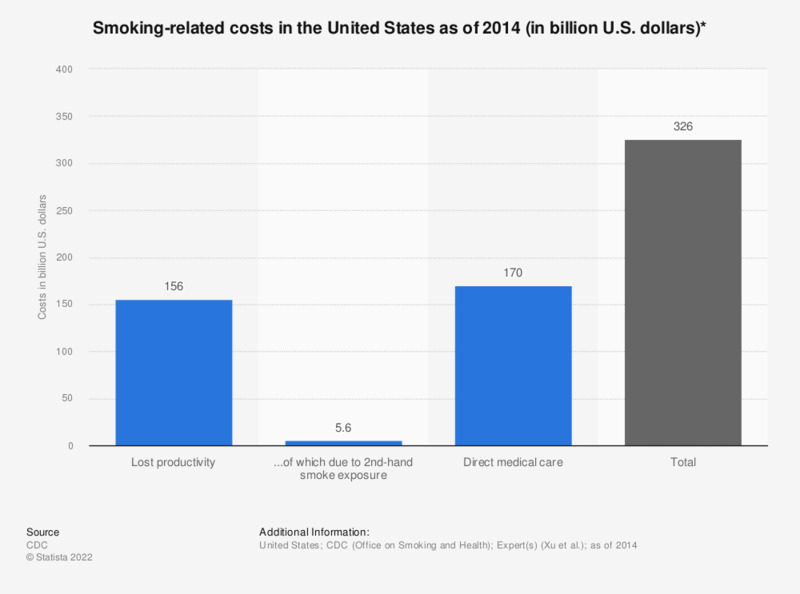 This statistic depicts smoking-related costs in the United States as of 2014. It was estimated that smoking cost the United States more than 320 billion U.S. dollars in total. From this amount approximately 170 billion U.S. dollars was spent on direct health care expenditures.